Most adult’s loose about 75 to 100 hair from their scalp everyday where some hairs are in the falling phase (telogen), and some in the growth phase (anagen). The technology has been used for years in surgical application and wound repair. 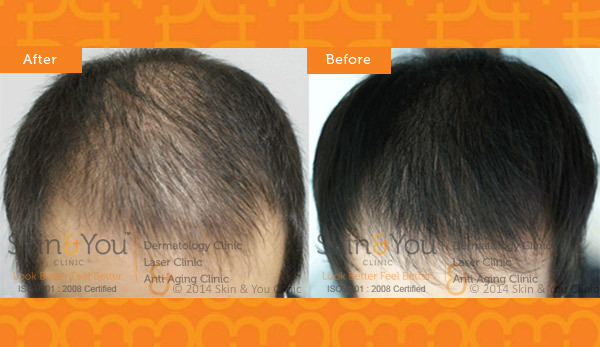 The use for skin and hair has been widely researched and the procedure has very good results. Why Skin & You Clinic for PRP for hair loss? We at Skin & You Clinic have been well trained on performing the treatment. The procedure is safe ,effective with no downtime and visible results.